Our 7 day weather forecast for Bath updated throughout the day, making it ideal for planning leisure activities, travel and events. Read more about our weather forecasts. On Tuesday 23rd April 2019 the sun will rise at 05:58 and will set at 20:19. It will be a mild day, with temperatures reaching around 21.8°C. A few showers are expected, 3mm of rainfall is possible today. There will be a gentle breeze in the air today, with a maximum expected wind speed of 17mph. On Wednesday 24th April 2019 the sun will rise at 05:56 and will set at 20:21. It will be a mild day, with temperatures reaching around 13.8°C. A light shower is possible, 1mm of rainfall is possible today. There could be quite a strong breeze in the air today, with a maximum expected wind speed of 23mph. On Thursday 25th April 2019 the sun will rise at 05:54 and will set at 20:22. It will be a mild day, with temperatures reaching around 12.4°C. A light shower is possible, 2mm of rainfall is possible today. It will be quite a breezy day, with a maximum expected wind speed of 28mph. On Friday 26th April 2019 the sun will rise at 05:52 and will set at 20:24. It will be a mild day, with temperatures reaching around 13°C. Heavy rain which could cause some standing water is expected, 13mm of rainfall is possible today. It could be quite a gusty day today, with a maximum expected wind speed of 29mph. On Saturday 27th April 2019 the sun will rise at 05:50 and will set at 20:26. It will be a mild day, with temperatures reaching around 9.9°C. Today is expected to be a dry day, with a very low chance of rain. It could be quite a gusty day today, with a maximum expected wind speed of 27mph. On Sunday 28th April 2019 the sun will rise at 05:48 and will set at 20:27. It will be a mild day, with temperatures reaching around 12.3°C. A few showers are expected, 3mm of rainfall is possible today. It will be quite a breezy day, with a maximum expected wind speed of 28mph. On Monday 29th April 2019 the sun will rise at 05:46 and will set at 20:29. It will be a mild day, with temperatures reaching around 8°C. Today is expected to be a dry day, with a very low chance of rain. There will be a gentle breeze in the air today, with a maximum expected wind speed of 15mph. Our weather forecast for Bath is updated throughout the day and has been found to be very reliable for planning activities such as days out, leisure, travel, events, fishing, golf and gardening. 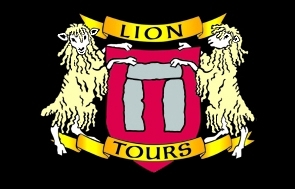 Stonehenge tour from Bath including Lacock village, used in the filming of Harry Potter, Pride and Prejudice, Cranford, The Other Bolyn Girl and many others. Cotswold tour from Bath. A full day exploring a selection from Castle Combe (Dr Dolittle, Stardust and Warhorse), Malmesbury, Bibury, Badminton, Bampton (Downton Abbey), Stow on the Wold, Lower Slaughter. One way drop off service to Moreton in the Marsh, Northleach or Kemble available for transfer to Oxford and London. Wells, Glastonbury, Salisbury and Stonehenge tour . Scheduled fully guided day tours throughout the year for independant travellers in comfortable minicoaches. Commentry by local driver guides is fun and informative.